Above: A statue of Jim Bodden in Heroes' Square. Mr. Bodden was instrumental in making the Cayman Islands a popular tourist destination. 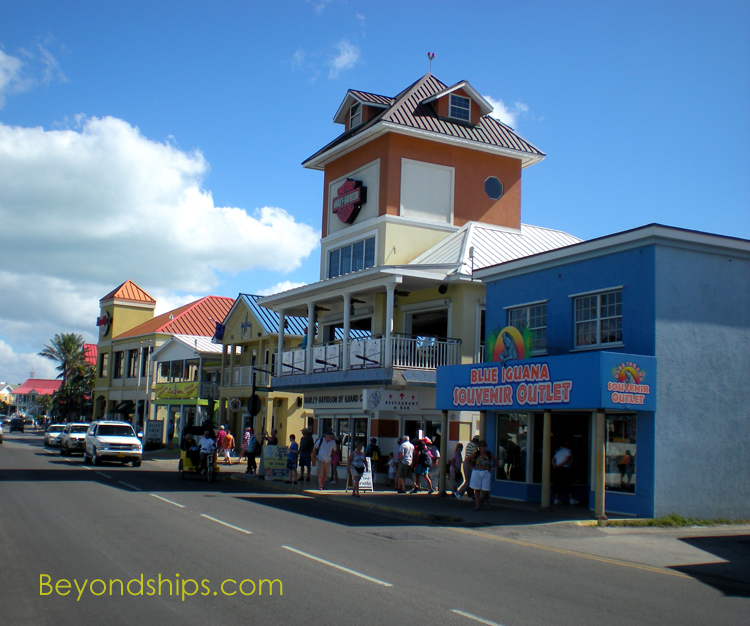 George Town is the capital of the Cayman Islands and the major town on Grand Cayman. It is a prosperous town with many modern buildings. When the cruise ships are in port it is bustling with activity. Lying along Harbour Drive not far from the tender piers is a small park located on the site of Fort George. Built in 1790 in order to defend the island from Spanish marauders, Fort George had walls built of local coral rock and a mahogany gate on the landward side. In World War II, local militia used the fort as an observation post to detect German submarines operating in the area. During the 1970s, a developer demolished most of the fort. Public outrage prevented its complete destruction and what remains now belongs to the Cayman Islands National Trust. On the other side of the street is the Elmslie Memorial Church. Built in the 1920's, by Captain Rayal Bodden, a naval architect, the roof was constructed like a ship's hull turned upside down. Also on Harbour Drive is the National Museum. 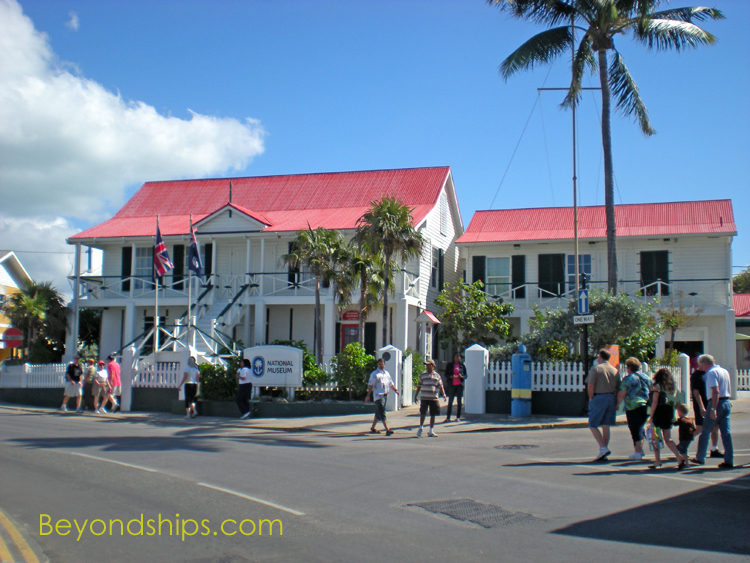 Its building dates from 1800 and is the oldest public building in Grand Cayman. The museum has changing exhibits on the history and culture of the Cayman Islands. As the capital, George Town is the location of the islands' governmental buildings. Just inland from Harbour Drive is the Legislative Assembly Building and Heroes Square. 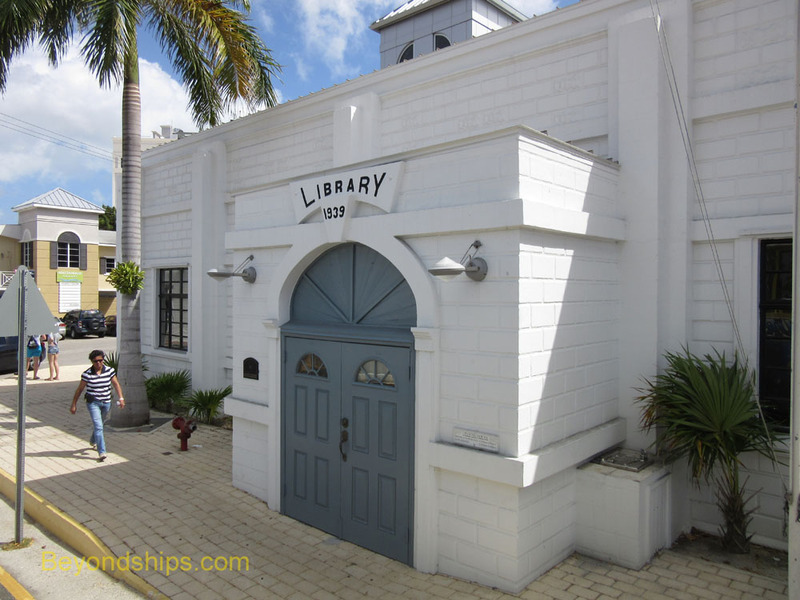 A little further on is the George Town Public Library, another building by Captain Rayal Bodden. Above: The remains of Fort George. Below: A ceremony in Hero's Square. 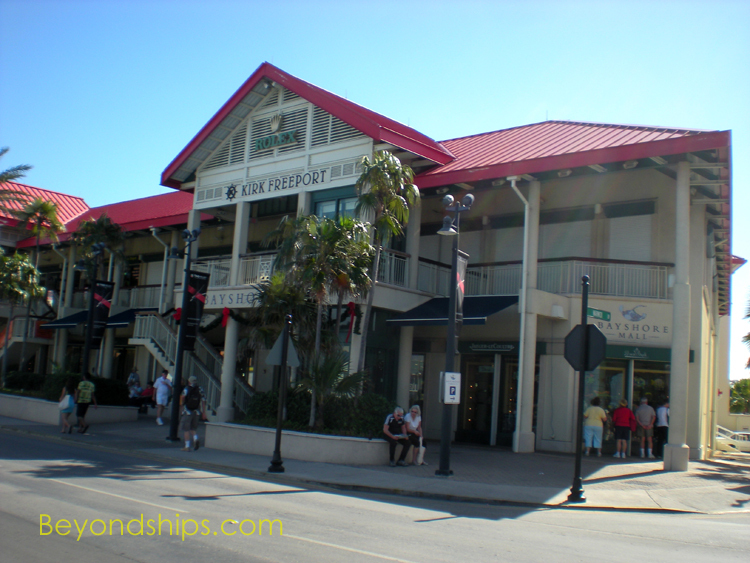 Most of the activity in George Town is around the duty-free shops that cater to tourists. These include the major chains that one finds in the larger Caribbean cruise ports. They offer jewelry, tee shirts and fashion items, watches, china and crystal, cigars, sunglasses and many other items. 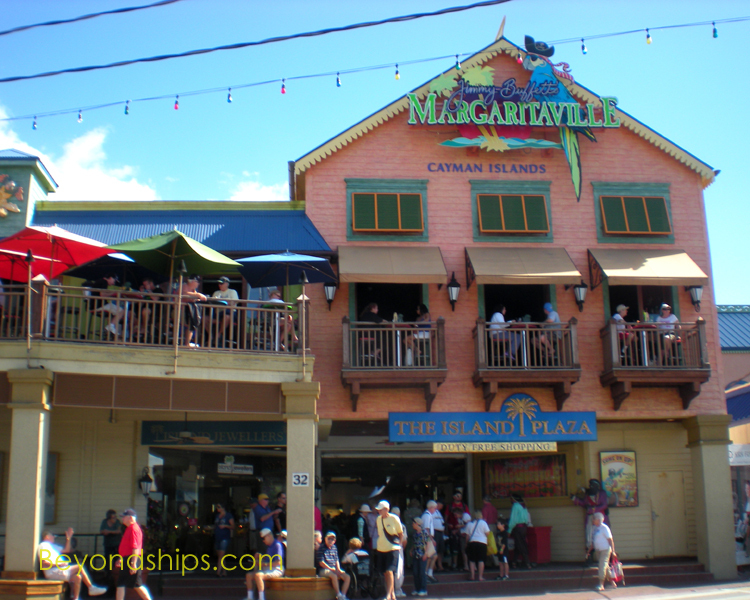 There are also familiar name bars and cafés such as the Hard Rock Café and Magaritaville. 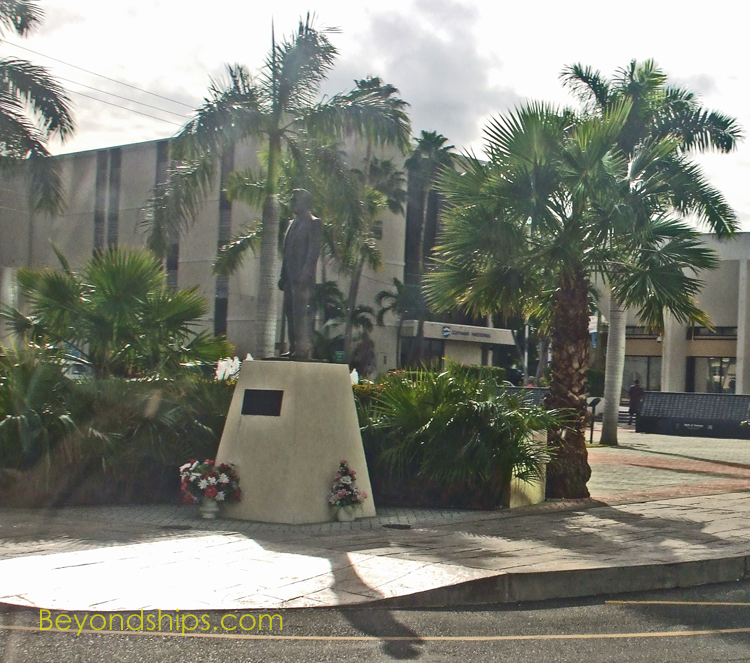 These venues are located primarily along the streets opposite the cruise ship tender terminals.